Read Me Then Watch Me! eBay has changed the way the world shops. Here's your chance to get in on this retail phenomenon—it's simple and inexpensive to get started. All you need is a computer and a product (or service) people want, and you're well on your way to reaching eBay's hundreds of millions of customers. You can sell almost anything on eBay, from the familiar to the exotic. And you can do it any time of the day or night, making this a great business to start part time. 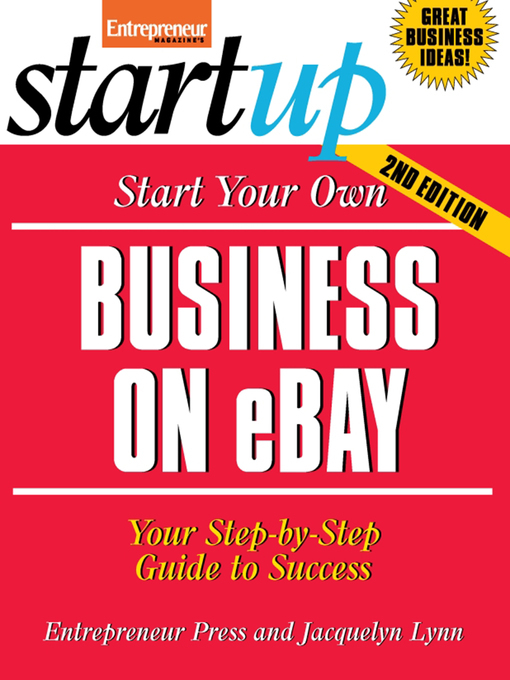 Newly revised and updated with the latest eBay tools and features, this book puts you on the fast track to your own eBay business. You'll learn: • Hot tips for attracting interested customers and high bids • The latest online marketing strategies • The most profitable items to sell online • How to spot trends and discover the next hot items • Insider secrets from successful eBay entrepreneurs • The vital keys to eBay success • How to use eBay's ProStores, Trading Assistants, Trading Posts and more to put you a step ahead of your competition More than 750,000 people make a living on eBay. Use this step-by-step guide, and you could become the next eBay PowerSeller!